» PC Gaming » Is PC Really Better Than Consoles? Here Is The Truth. « MSI GE70 Apache Review, Is It A Good Gaming Laptop? Today’s consoles have a pretty good amount of power! Instant gaming – put the CD in and you’re ready to play. Easy to play with family/friends locally. Fun exclusive games for both Xbox and PlayStation. Extra things to use such as the Kinect for Xbox or the touch screen feature with the PlayStation controller. Easily portable and can bring it wherever. Easy to download system updates/drivers. No modifications of your favorite games. Harder to browse the internet. There aren’t really many free DLCs. Online services have a monthly cost. As time goes on, consoles don’t get more powerful. Some games won’t run at full HD 1080p resolution and most games are locked at 30 frames per second. Basically, the games don’t run as smooth as they were made to be. Graphics with the textures aren’t at the highest quality that they were meant to be shown. If your disk gets really scratched, the game can become laggy or just not playable. Today’s Microsoft console: The Xbox One. The Xbox One has a user interface that is kind of similar to the Windows 8 PC screen with all of the apps and such. There are different menus to navigate to the Xbox store and other pages. One feature of the UI that I particularity like is being able to pause your game and enter the home screen seamlessly. There is no wait time, just hit the center Xbox logo on the controller and you’re back to your home screen. The following video walks you through the details of the user interface. Microsoft has managed to get a pretty awesome game line up for their launch. Sunset Overdrive seems like a very unique kind of game and it’s one that I wish I could play but I unfortunately only game on my PC now! I know I would also enjoy Kinect Sports. I have played on a friends Kinect with the Xbox 360 and I have to say it’s quite a fun experience. In my opinion as far as consoles go, the Xbox One has better exclusives for their system when comparing them to the PlayStation 4 exclusives. The Xbox One controller is a little more bulky than the Xbox 360 controller but it still has a very comfortable feel and the thumb sticks have an awesome texture to them. There really isn’t much of a weight difference at all, and the most noticeable difference between the two controllers would be the buttons. On the Xbox One controller you will be able to easily click any button without having any sort of response issue, such as the D-pad on the 360 controller. The D-pad on the Xbox One controller is very responsive and has more of a Nintendo D-pad feel. The Xbox One controller is an adequate update from its predecessor. The guts of the Xbox One. Let’s take a look and see what the power is like inside of the Xbox One. All in all the Xbox One wouldn’t be that bad of a console to own. Sure it could have used some more power like the PS4 but the fun gaming experience is still there. Today’s Sony console: The PlayStation 4. The PlayStation 4 is the better console when comparing the two, at least in my opinion. There are better exclusives and the hardware is better. Almost every game will run at 1080p resolution and a lot of the games that run on the PS4 will also run at 60 frames per second. The PS4 user interface allows users to scroll through a horizontal menu that gives access to games, music, movies and more. I like the ambient blue background and just the general feel of this interface is cool. The video below is the Vice President of Sony entertainment walking through the user interface of the PS4. There are many more exciting games coming out for the PlayStation 4 in 2015, but most of the launch titles that are available today are not exclusive games. Most of the games I have listed above will be coming out in 2015. The PlayStation 4 controller is a very unique controller with a change up in controller design – there is a touch screen right on the controller! Free-to-play co-op shooter Warframe uses the touch pad by using four cardinal directional swipes to activate your powers (with no additional button press needed). Just a quick flick can send out a massive blast or fireball, for example. When compared to the PlayStation 3 controller you’ll see that there really isn’t too much of a difference. The first difference you see is obviously the touch screen, but the sticks are also different. The PS3 sticks really weren’t that high of quality. The PS4 changes that by adding super high quality sticks. The start and select buttons are no longer present with the PS4 controller. This has been the norm for PlayStation consoles ever since the first console. But with a new generation of gaming comes a next generation controller with impressive functionality. The PS4 controller has paved a new way for controller functionality. The inside of a PlayStation 4. Let’s take a look at the power behind the PlayStation 4. 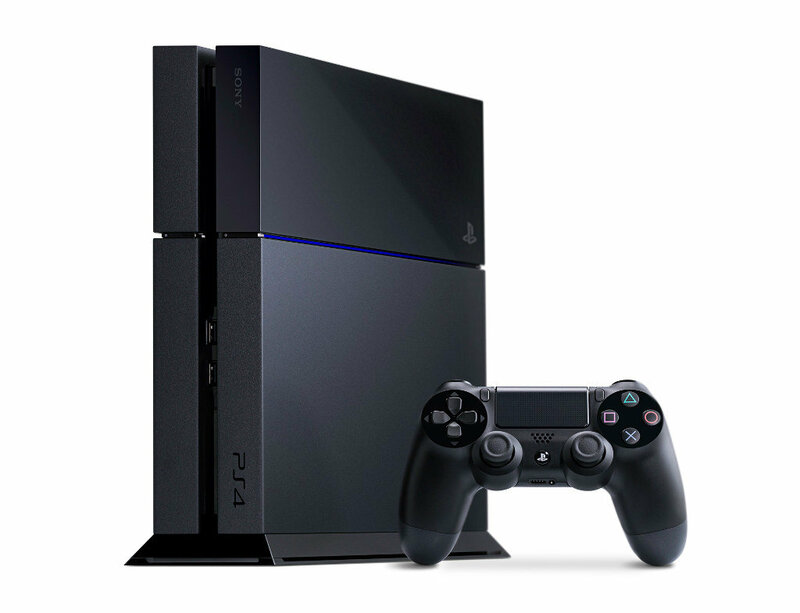 The PS4 has an 8-core AMD processor that has a frequency of 1.6GHz. Though slightly slower than the frequency of the Xbox One’s CPU, there really shouldn’t be any difference in game performance. As for the PS4’s GPU – it is equivalent to a HD 7870. This is a notch up from the HD 7770 that is inside of the Xbox One, and that is why the PlayStation 4 is able to run most games at full HD 1080p resolution and 60 frames per second. Don’t get me wrong, the PS4 is still going to have games that run at 30 frames per second but it all depends on the developers and how well they will be able to optimize their games for these next-gen consoles. Today’s consoles pack a punch, but I wonder how long they will actually last..? Is PC actually better than these next gen consoles? If so, then how? Let’s list some pros and cons of having a gaming PC. There is an abundant amount of personalizing/customization features that come with PC gaming. Works with any TV or monitor. Works with any gaming controller. There are also unique controller specifically designed for PC gamers. Free online services! (Steam, Desura, Origin, etc.) This is where you can play online multiplayer and make digital purchases of your favorite games. PCs are good for work, education, and entertainment. There are many uses for a computer so why not make it a gaming machine on top of it? Modern-day PCs are Faster than a PS4 or Xbox One. Cheaper games. (Steam, GOG, Humble Bundle) Steam always has sales, especially on the holidays, up to 90% off some titles. Humble Bundle allows people to buy a pack of games for whatever amount you wish, even just $1. If you love buying games, then PC is the way to go. Free game mods and enhancements. This one is a biggie. Modding a game like Skyrim makes the game new again and always gives the players a new experience. Modding games on consoles is extremely hard to do and frowned upon by the developers. With PC you have the freedom to do as you wish with your games. A LOT more games than consoles. More PC exclusives than Xbox or PS4 exclusives. Awesome independent developers make awesome PC indie games. Steam Greenlight is full of independent developers that have created some of the best PC games. Lots of FREE games. Seriously. A ton. Can be upgraded if desired. Steam’s “Big Picture” mode for couch gaming. Better price-performance than consoles. More bang for your buck, especially with today’s consoles. High resolutions and higher graphic detail. You have to download your games via internet first then install it onto your hard drive. The length of this process depends on your internet connection and hard drive. You could also buy CD copies of some games to avoid the download, but Steam is an awesome community and the wait is worth it. When building a PC there is a learning curve as to how everything works especially if you’ve never really used a computer before. This isn’t really that difficult, if you’re interested in seeing a step by step tutorial on how to build a computer from scratch then this would be the video for you. Once your computer is built or if you just went out and bought a complete one then there is also a slight learning curve on making sure you have all of the latest drivers for your hardware. This isn’t really difficult either, just do your research in Google how to get your drivers. It depends on which brand of GPU/CPU you get. For example if your computer had an AMD graphics card in it then you would do a Google search for AMD drivers. You have to use your mouse and keyboard for some of your games. Keep in mind that the mouse and keyboard are a lot more precise than the controllers. All of your first person shooters are going to be easier once you get used to a mouse and keyboard control scheme. Third person games and other titles go great with a controller so I would still recommend picking up a game pad for an awesome gaming experience. Most titles, especially AAA titles, have controller support though so if you’re worried about that no need to worry as much! If you are interested in picking up a gaming controller for your PC build then you should check out my top 5 epic picks. Although PC comes with a TON of exclusives, you’ll be missing out on the Xbox One and PS4 exclusives. Services such as Steam, Desura, and Origin give PC players a unique experience with communities, mods and more. With PC, you’re able to have the interface of a desktop computer with free gaming services that are available on the internet. Many games are fully unlocked to their potential with many modifications to choose from to enhance your gaming experience. Mods are easy to install especially with Steam’s Workshop. Steam Workshop is a modding community made for and by players. Mods are a one-click install and then a short download time for it to be in your game. Steam Workshop allows PC players to modify all of their favorite games. Steam is full of other features such as it’s huge and engaging community, it’s store that has weekly sales and super holiday sales and it can keep all of your games in one safe library to ensure you always have access to all of your top games. Steam can be used online or offline so if your internet has to be down for a bit don’t worry about not being able to game on your PC. As long as it’s not a full multiplayer game you’ll be good to go. Steam also cannot check for software updates while it is in offline mode. In my opinion, Steam is by far has the most innovative and creative user interface that has ever been created for gaming. They listen to their feedback and make decisions based on what their fans love. Here is an intro video to the Big Picture mode. This video was released back in 2012 when Big Picture first launched. There are many pros that come with PC gaming. But as with anything in the world, it also has its cons. In my opinion, the pros heavily outweigh the cons of PC gaming and it makes sense to hop on a PC gaming venture while its in its prime time of growth especially within the gaming industry! Through my personal experience of the past 4 years of gaming on a PC I have to say that I don’t regret the change up at all. Sure it took a little bit of time getting used to the new feel of a keyboard and mouse while for gaming but after taking the time to learn I could see that it was definitely worth it. A mouse is much more precise than a game pad and I’m able to better aim at my enemies due to the high DPI setting on my mouse. So, in your opinion, is PC really better than consoles? Would you rather build a custom gaming PC how you see fit or have the comfortable, familiar-feel of today’s gaming consoles? Tagged pc gaming, pc vs consoles. Bookmark the permalink. 2 Responses to Is PC Really Better Than Consoles? Here Is The Truth. I don’t do nearly as much gaming as I used to, but I moved away from consoles a long time ago. The last console I had was the PS 2. I exclusively use a custom gaming PC. Nice post. You went the extra mile and made some great comparisons. Maybe it’s time to get back into the gaming scene for ya then? 😛 PC gaming is evolving! Thank for you for the kind words!